Over the past week, I’ve once again been attempting to channel my inner creativity and come up with something fabulous for Amy Warden’s Soap Challenge Club. Well, my soaps have left me feeling less than creative. But in an effort to use up some essential oils (EOs) for which I had no use (or so I thought), I stumbled into an EO blend that I just absolutely love. And it even uses an EO that I really can’t stand – at all – Star Anise. Go figure! Did I mention that I’m not a good EO blender? Well, I’m not. But it isn’t for lack of trying, that’s for sure. So when I create an EO blend myself and actually like it, I get kind of excited. Not that this blend is all that complicated, by the way. You could probably add a bit of Patchouli or Litsea Cubeba if you’re worried about the orange fading over time. 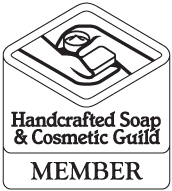 In order to help any scent last in my cold process soaps, I always mix my essential oils with kaolin clay, cover the mixture with plastic wrap, and allow the mixture to sit while I’m preparing the rest of my soap ingredients. In case you’re interested in the brand/source I used for the EOs in this blend, the Star Anise came from BrambleBerry, while all of the others came from Camden Grey. Very interesting. When you say 5X-6 parts, what exactly do you mean? I may sound silly, but what does the X stands for? Thanks. Here is a great site on how to understand parts/ratios and convert them into percentages, in case you’re interested. I can hardly wait to try this EO blend – it sounds very promising!